Living in the Northeast, I’ve begrudgingly become accustomed to the cold winters. But when I had Charlie, who was born in November, I was suddenly thrust into a whole new challenge-how to keep baby warm safely during winter? It doesn’t seem like it will be an issue right? Common sense says when it is cold outside we stay inside where we can be nice and warm. Life, however, doesn’t exactly work like that. Walking out to a car becomes a major battle of wind, sleet, and snow, figuring out how to keep them warm during car rides, and even the proper way to keep them warm and toasty while sleeping at night all suddenly comes into question during winter time! So today I am sharing some of my favorite baby and toddler products that are designed specifically to keep babies safe and warm during winter, or even when the weather dips in spring or fall. These are all products I have used and loved, plus a few I’m learning about and eager to try next winter when I’ll have an infant and a toddler to get through the snow! 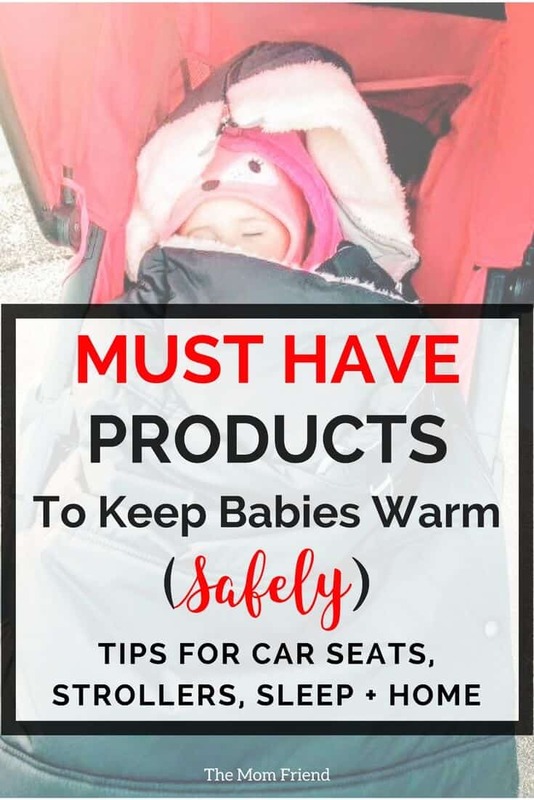 There are so many ways that best intentions during winter can put our babies at risk when it comes to the car seat. 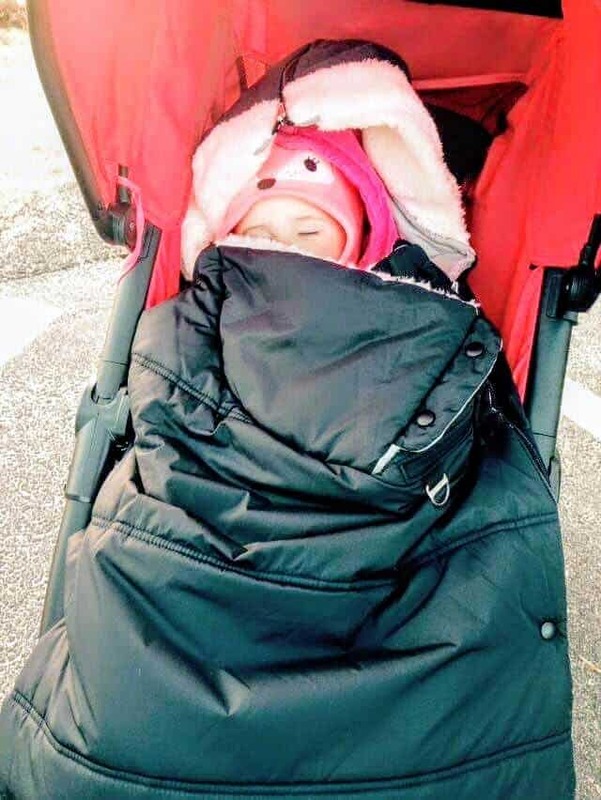 In an effort to keep them warm, it seems dressing them in lots of layers and bundling them up with blankets or fleece car seat covers that go all the way around them is a good idea. In reality, though, these measures can actually put them in danger There are, however, easy ways and great products that can be used to keep them warm, safely. So why are puffy coats/layers a potentially bad idea? It has to do with compression. When a child is strapped in without a jacket, the straps fit snuggly on their chest and shoulder and prevent them from flying out of the seat if an accident occurs. When items such as puffy coats are added, the extra material puts a layer between the child and straps. While it may seem like the straps are providing a snug fit, in the event of an accident the force of the crash will result in the puffy layers condensing (much like stuffing coats or down comforters in a vacuum storage bag, and vacuuming the air out of it so it lays flat). This creates extra space between the child and the car seat straps, which will not protect a child in the same manner as snug straps would. After seeing the crash test report video early on of a crash with a puffy coat on, I was pretty diligent about taking Charlie’s coat off every time. It drove my mother-in-law crazy! But I didn’t want to risk her getting hurt, so I used thin layers and tucked blankets around her after buckling her in. But when it was raining and snowing outside, I hated having to stand out there taking off or putting on her coat at every stop. 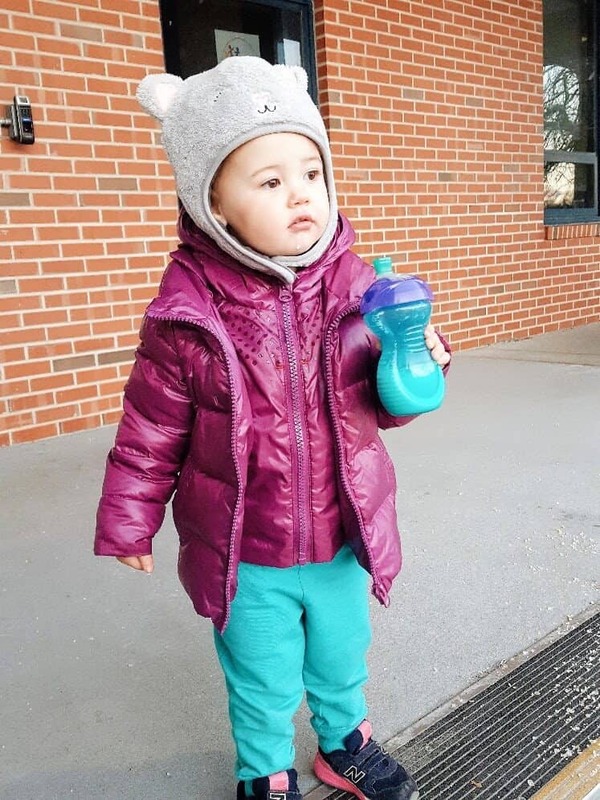 Once I received the One Kid Road Coat to test out for review, it quickly became one of my top recommended winter gear items for babies & toddlers. 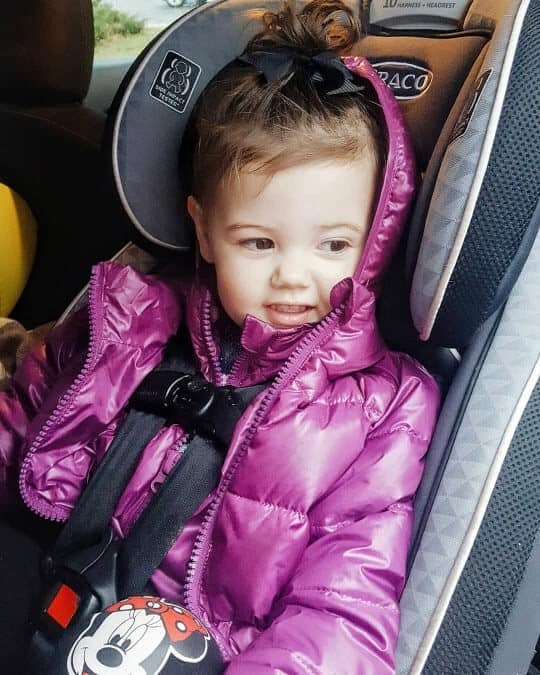 The coat has a unique double layer construction, and a split neckline, that allows the car seat straps to pass over the shoulders and lay flat on the chest on the flat inner layer, while Charlie is still warm and cozy with her coat on. Since we live in New England, I opted for their warmest coat, the Road Coat Down (*made with responsibly sourced down), but they also have a lighter weight Transitions Road Coat and Vegan Road Coat Option for other climates or seasons. They even have a full snowsuit for infants! This coat has literally been a game changer for us. Car Seat Cover For infant bucket seats, I loved using a car seat cover. Not only do they help keep babies warm, but they also protect them from the elements on walks to and from the car or while on a walk with a stroller. 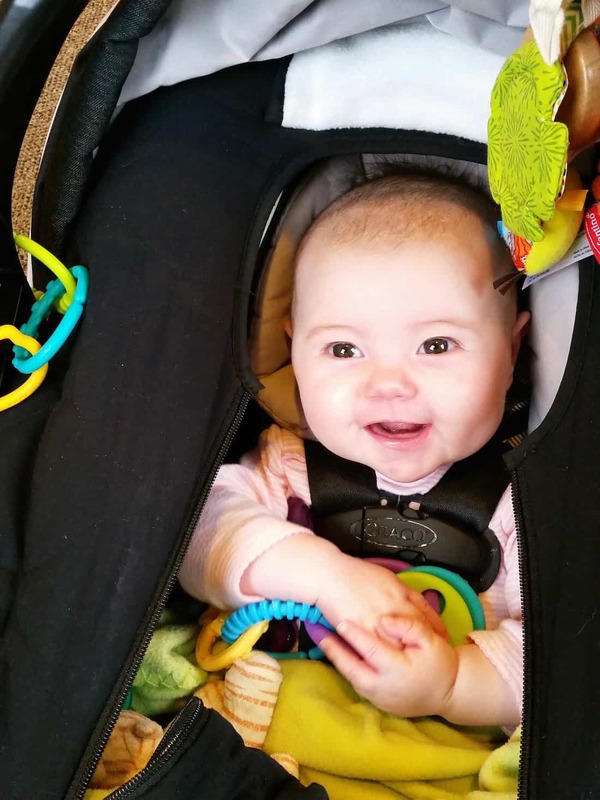 One important distinction, however, is that the car seat cover you choose should go OVER the top of the car seat, and not under the baby with a cover over. While this could create a similar situation to the coats above, it is important to mention that any after-market item that is placed on or under the straps of a car seat actually voids the warranty of the car seat, unless it is specifically tested and manufacturer approved (by the car seat manufacturer). And to be honest, I tried the popular trick to cut out the back of the fleece liner so that it wasn’t used with the straps and yet still surrounded her, and she overheated with all that fleece, so I quickly tossed that idea! Instead, opt for one that uses elastic to hook over the top of the car seat. You can tuck a blanket over the baby after buckling him/her in, and then put the cover over the top. I love and used this car seat cover, as I really liked the zipper access and the face hole- I felt it provided more coverage for weather than others with a flap that folds over the top of the child. But there are lots of great options for covers out there: this one is another popular one. Staying cooped up in the house is no fun for anyone, and when the weather permits a walk outdoors is good for everyone, we all need a little fresh air! Blankets are just straight up annoying to deal with babies or toddlers, especially when they start being able to play with them or throw them off! If you like to be outside during cooler temps, I highly recommend getting a footmuff for your stroller. Safe sleep practices, and how to dress your baby at for sleeping is an entire post on its own. 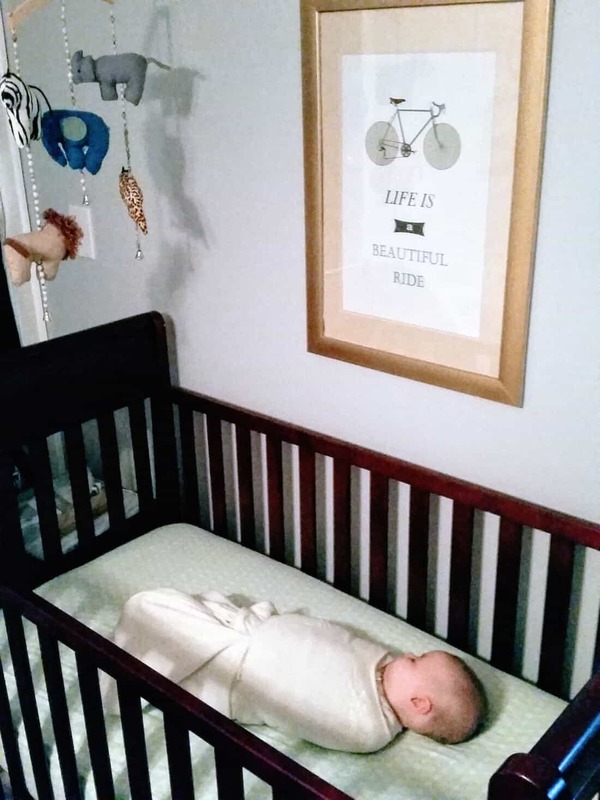 However, I do want to share my favorite item for keeping infants and toddlers warm at night without using blankets (The American Academy of Pediatrics strongly recommends cribs be kept clear of loose bedding and blankets). Plus older babies and toddlers move around a ton while they sleep, so keeping a blanket on is an impossible task! I love, love, love sleepsacks for year-round sleep, but especially during winter. Charlie used one all the way to her transition to a toddler bed (and for a bit after until she started sleeping like a normal person and not tossing around. There are many great options to fit every budget. We started using this one right away for swaddling and then with the wings velcroed under after we stopped swaddling, had the wearable blanket in both micro-fleece for winter and cotton, and moved the Early Walker later one. Merino wool options are great if there is room in the budget, as they can be used year round and regulate body temperature accordingly. IKEA also has the comfiest comforter-like sleepsack—it was one of our favorites too! Those are my top items in some of the most challenging spots during winter. Here are some of my other favorite items to keep the chill away, or you know, just to have them look super cute during this time of year! What are your other favorite winter items for baby? Let me know!